The new Apple TV is pretty disappointing since it is so limited. It sits collecting dust like many Wiis do. So if Apple doesn’t decide to release Apps for it in the near future, jailbreakers certainly will. 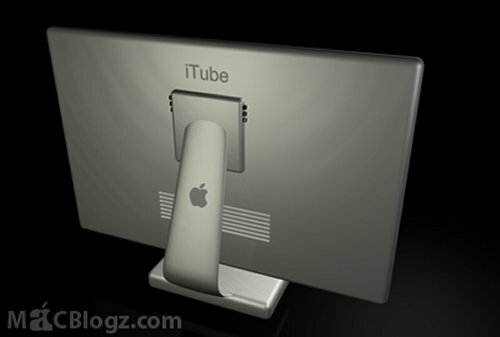 In fact, some hackers have managed to get a web browser running on the new Apple TV and also added Last.fm integration. 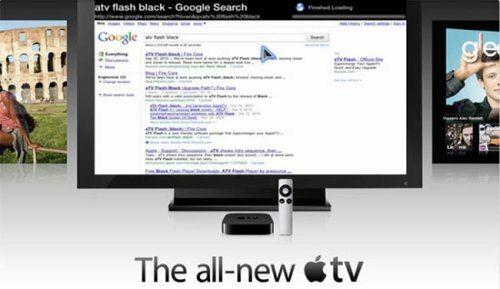 The latest apps were created by the folks over at Firecore, and they will be releasing a package for Apple TV called aTV Flash. A beta of the package should be released within the next couple of weeks. The newly shipping Apple TV has just undergone it’s first autopsy from iFixit, revealing the device’s hidden specs and innards. It looks like the inside of Apple TV has a lot in common with other iOS devices, including the iPhone and iPad. There’s 8 GB of NAND flash memory on board, 256 MB of RAM (the same as iPad), the same Apple A4 processor as the iPad and iPhone, and the same Broadcom chip for Bluetooth, FM, and WiFi b/g/n capabilities. And some solder pads near the side of the logic board look like a perfect fit for an Apple dock connector. 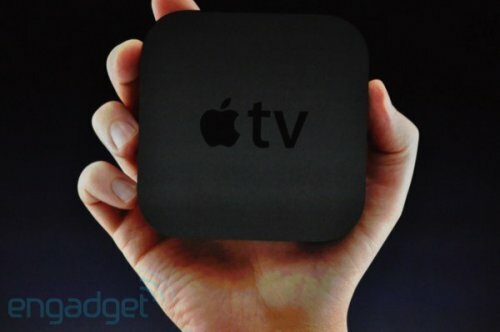 The new Apple TV is now a streaming-focused device in a small matte black enclosure. The device has HDMI, Ethernet, optical audio, and USB plugs in back, along with 802.11n. There’s no local storage. The new streaming HD TV rentals from ABC and Fox will be just 99 cents, while first run HD movies will be $4.99. Other services include Netflix, YouTube, Flickr, and Mobile Me, as well as Rotten Tomatoes integration in the movie catalog. 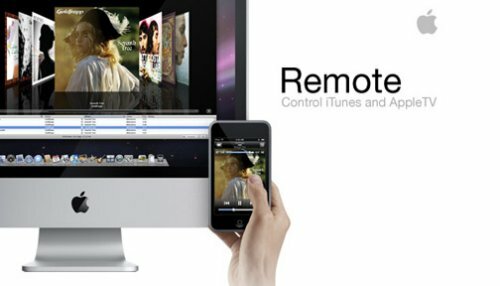 You can stream from your computer and iOS 4.2′s AirPlay enables streaming from an iPad straight to an Apple TV. Great news for Apple TV users. The iPhone 3.0 version of the Remote app now supports Apple TV controls with gesturing, which will give you a lot more flexibility than the standard little Apple Remote you already have. According to Techcrunch, the entire experience is dramatically improved, allowing you to slide around on the phone to move the screen, while the keyboard makes it handy to type searches in quickly. Apple HDTV with built-in Apple TV? Many fanboys and girls are waiting for Apple’s next Macbook coming Tuesday. But check this out. In an interview with CNET UK, Jason Calacanis claims to have sources that say that Apple is working on a networked LCD HDTV with built-in Apple TV. So why jump into the HDTV market? I have no idea, but the promise of an HDTV capable of streaming music and videos from your network is interesting. The idea is that they’ll function like a standard TV with an Apple TV box, just without the box. It just keeps getting better for consumers looking for on-demand set top boxes. 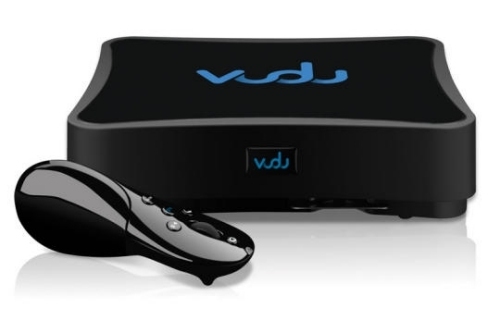 In response to the new firmware upgrade and price drop announced by Jobs for the Apple TV, Vudu has given its own demand box a 25 percent discount. This brings the price of the Vudu system down to $295 from $399. Apple recently discounted the Apple TV with prices as low as $229 for the 40GB model and they’ve also are scheduled to move into a space where Vudu had an upper hand – movie downloads without a PC. Apple TV not only is going to match that point of service but can also bring in YouTube videos AND content from your computer into your living room, which Vudu cannot. Apple announced the immediate launch of iTunes Movie Rentals today during the MacWorld 2008 keynote speech, allowing iTunes users to get limited-time download of movies from any of the major studios for as little as $2.99. The new service is part of iTunes version 7.6 which is available now and gives a rental download of movies for 30 days, but once you begin watching the movie the rental will run out in 24 hours. It can be watched as many times as you would like within that time. You can even start watching on your computer and then transfer the video to your iPod and finish watching the movie on the go. Apple appears to have picked up all the major studios with this offer with the list of participants including 20th Century Fox, The Walt Disney Studios, Warner Bros., Paramount, Universal Studios Home Entertainment, Sony Pictures Entertainment, Metro-Goldwyn-Mayer (MGM), Lionsgate and New Line Cinema. iTunes plans to have over 1,000 titles available by the end of February with rates of $2.99 for regular titles and $3.99 for new releases. For another dollar iTunes will deliver titles in high-def with Dolby 5.1 surround. 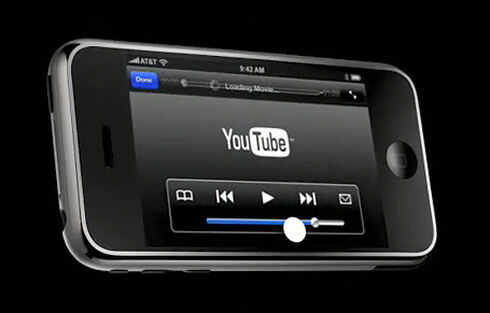 Doing a great job keeping up their momentum, Apple today announced that YouTube videos will be available on the iPhone when it launches June 29th. A new application for the mobile device will allow users to eventually watch the full lineup of YouTube videos in the H.264 (not Flash) format and access them through Wi-Fi or EDGE. Of course all the videos on YouTube were not originally coded in the H.264 format so not all will be available right away but YouTube is promising that 10,000 of them will be ready for the launch on the 29th. YouTube will continue to encode the clips until all of them are available in the new format this fall. Steve Jobs’ latest effort to synergize entertainment with computers is now ready to come into your home theater room. Apple TV, the company’s newest piece of hardware, is now shipping to customers. Say you want to download the latest episode of “Battlestar Galactica” or “Lost” to your iPod but this time there’s a bunch of you that want to watch it. Instead of crowding around the pod screen, when you hook up Apple TV to your computer (whether it’s a Mac or PC), you can now stream the broadcast straight to your television. You can also do the same for any other trailers, podcasts, photos or movies. According to an article from Reuters, today Apple reported that it’s going to delay the long awaited Apple TV (formerly known as iTV) launch until mid-March. 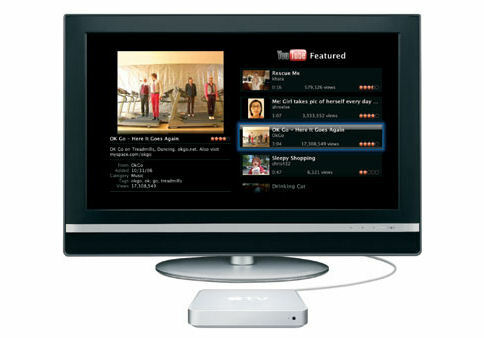 The Apple TV is a device that will connect directly to a television and allow the viewing of iTunes content streamed from a PC or Mac, such as movies, photos, TV shows, and music. The Apple TV will allow connections to up to 5 different computers at a time and can synchronize the media data to ease the process of transferring media. It appears that Apple is now taking orders for their new Apple TV for $299 with free shipping, although the device will not ship until February. If you plan on ordering one, here is a quick rundown of what you’ll get for your $300. 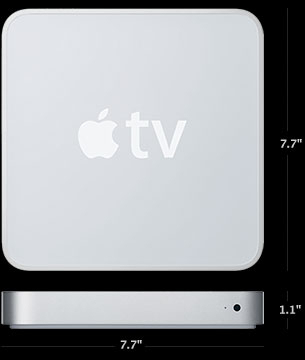 The actual Apple TV is pretty small, measuring a mere 7.7 inch square and being just over 1 inch tall, weighing in at 2.4 pounds. True to rumors before the Apple TV launch, it does contain a 40GB hard drive, and it runs on an Intel Processor. The device is compatible to stream video content wirelessly across any 802.11g/n network, but of course they recommend the Airport Extreme. iTunes 7 is also a requirement to get your media for the Apple TV, of course. The announcement of the iPhone and the Apple TV drove Apple’s share price up over $7 today to close at $92.57. This price was close to a 50 week high for the computer maker turned consumer electronics juggernaut. That transformation has some investors wondering if the traditional computer manufacturer can handle the transformation of its business model from selling computer hardware and software to selling ultra trendy and ultra popular consumer electronics. Palm, Research In Motion Ltd. (Blackberry maker) and Motorola shares were all down on the news of Apples entrance into the somewhat crowded market. Apple dominates that mobile audio player category and may try to do the same in the mobile phone arena. 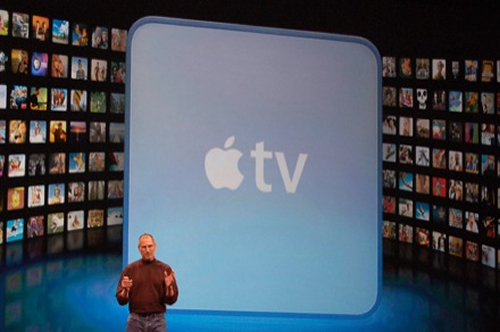 Today at MacWorld in San Francisco Steve Jobs unveiled the highly anticipated Apple TV, dubbing it the iTV multiple times during his keynote speech. The Apple TV was overshadowed and did not come with as many surprises as the Apple iPhone, but nonetheless has many impressive features. The Apple TV connects directly to a television to allow viewing streamed iTunes content such as movies, photos, TV shows, and music directly on the TV, from up to 5 different PC or Mac computers at a time. There is also a feature to auto-sync the content of the hard drive to one computer which would allow your content to be easily updated.